Two weeks ago I had the opportunity to host an in-studio performance with Smoke Season and sit down with them for about 15 minutes to talk about their influences, tour dates, and their headlining show in New York at the CMJ Music Festival. Words can’t describe how incredible this band is to witness live. I heard a lot great responses from people who heard them for the first time on KSPC and it’s my greatest pleasure to bring music to people that they will gush over. I think we were all worried from the start by their vast amount of equipment to set-up in KSPC’s small studio room (in comparison of their equipment) but with all hands on deck, we made this happen. As they were setting up, I was pulling music and got distracted every now and then as they put all the pieces together to do their sound check. They came in with a sort of calm, collective vibe that eased myself during my set, but also sent me a little on edge because I wanted it to be 5:30 already. I wanted the world to hear what I was “oooing” and “awing” about. By the time they came on, it was absolute magic. That feeling when you hear an artist for the first time and it blows you away. Yet, this wasn’t the first time I heard them. They mixed “Badlands,” which was one song that I recognized, along with new songs, not yet released. It felt like a world premiere of explosive “dustbowl” sound in everyone’s ears. This was a great experience, especially for people who listened to them for the first time. The layering of the guitars, the synths pulling you in, to an incredible and powerful soulful voice. Despite me being in a small room directly behind the drummer, or as he called it, the booty view, I was able to be in awe of the energy they delivered. 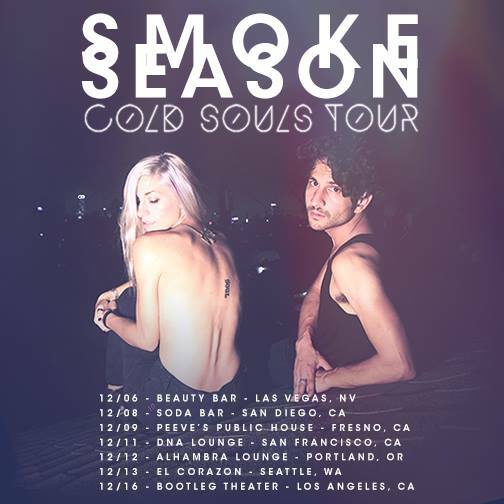 Jason Rosen and Gabrielle Wortman, of Smoke Season, finished up their set of 5 songs with “Opaque,” one of my favorites off the Hot Coals Cold Souls EP. I then waited for them by the door to the OTA room and was greeted by an excited, petite gal, and a quiet man with a smooth demeanor. They immediately walked in and commented on how “cool” certain aspects of the room were. They then sat down and we all waited for the current song to end. “Who is this?” asked Wortman. “Oh, this is Hello, Dollface. The song is “Sounds“ I believe,” I replied. Wortman turned to Rosen and started talking about the bass line and how cool it was. I started the conversation confirming that they each were in different musical projects before collaborating. Wortman was in the electronic-rock band TEMP3ST while Rosen was the guitarist and keyboardist for the alt-pop band Honor Society. Having a lot of musical influences in common, they were able to produce this project. Wortman mentioned that a more recent influence on their current work would be Alt-J, which is you’re familiar with his music you can sense the psych-indie aspect similarities. Being just a duo, I thought it would be a creative advantage for Smoke Season. Not a definite answer to this question, but Wortman quickly explained that for the first EP, Smoke Signals, herself and Rosen each wrote all the music and lyrics but now they have the luxury to bring ideas to their band and bounce ideas off of each other to see what works. I then directed them back to one of their recent music videos that engulfed my eyes for weeks. If you’ve read my previous analysis of their music video for their song “Opaque,” you may have known that it messed with my head and I spent a while trying to analyze it getting lost in the visualizations, which I highly recommend you check out and see what I’m talking about. I mentioned how I read different views from LA Weekly, Buzzfeed, and of course my own personal take on it, and wanted to know what it was really about. “Yes, that was powdered milk that we were in,” said Wortman. As if the video wasn’t cool enough, it’s always amazing to know these little facts. Rosen also mentioned that they like to make their videos vague and see what people come up with. Obviously, I was completely off and had to re-watch the video later that day to be at peace with myself. 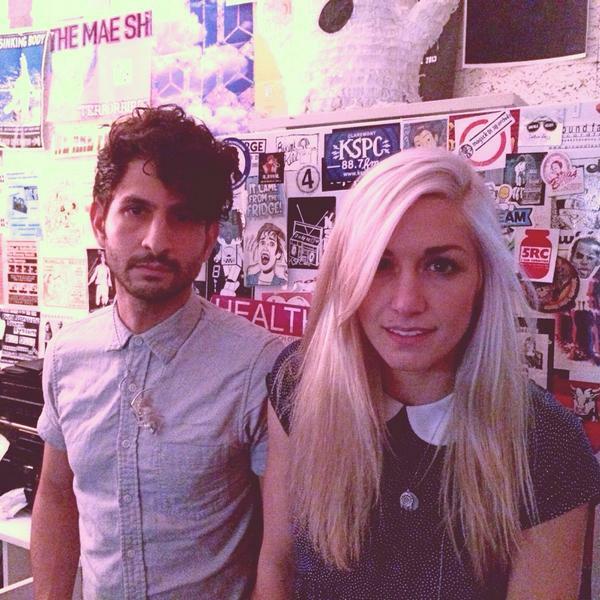 Back in October, they played the CMJ Music Marathon at Spike Hill, and then another show at Rockwood Music Hall. Wortman mentioned that she got sick, “as always” but other than that it was exciting and a great show. With that said they announced their Cold Souls tour and will be playing from Seattle all the way back home to Los Angeles. 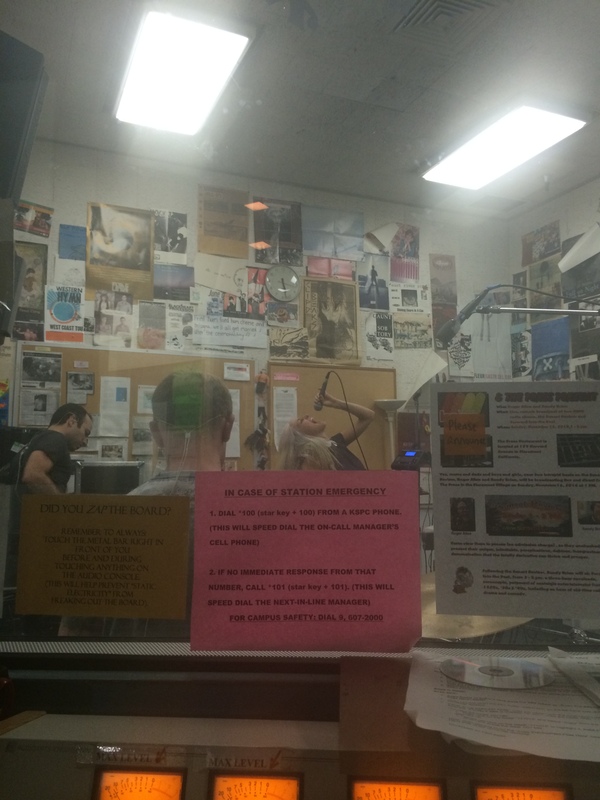 Hopefully we can join forces with KSPC and give away some tickets to a group of lucky people! I had an incredible chance to meet a group of humble and talented individuals and want to thank everyone involved for making this happen, and of course to Smoke Season for stopping by.